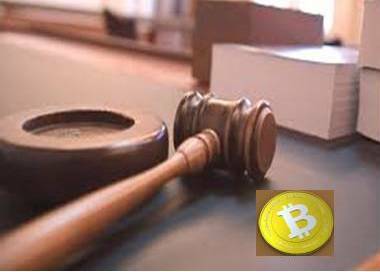 A Miami-Dade judge ruled Monday that Bitcoin is not actually money, a decision hailed by proponents of the virtual currency that has become popular across the world. In a case closely watched in financial and tech circles, the judge threw out the felony charges against website designer Michell Espinoza, who had been charged with illegally transmitting and laundering $1,500 worth of Bitcoins. He sold them to undercover detectives who told him they wanted to use the money to buy stolen credit-card numbers. The case involves a man charged with illegally selling $1,500 worth of Bitcoin to undercover police, who told him they would use the currency to buy stolen credit card data, according to the Miami Herald. But in the eyes of Miami-Dade Circuit Judge Teresa Mary Pooler, Bitcoin fails the standard of what “money” is, having no “tangible wealth,” making it just a case of one guy selling stuff to another guy. Other parts of the government would like the IRS to see Bitcoin and other virtual currencies as property that can be bartered, not as currency, and Pooler’s court seems to take that side of the case. She wrote in an order that “even to someone with limited knowledge in the area, the Bitcoin has a long way to go before it is the equivalent of money,” the Herald reports. The anonymity of using Bitcoin, payments of which can’t easily be traced back to a source, has made it a currency of choice for black markets like the notorious Silk Road. That association, plus a handful of high-profile crashes in the value of Bitcoin, have generally kept the currency out of the hands of mainstream consumers and investors.